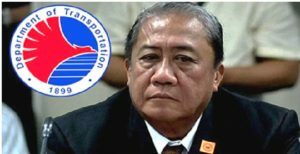 DOTr Secretary Arthur P. Tugade, in a meeting with road sector officials on January 24, 2019, instructed the Road Sector, LTFRB and OTC to fast-track approvals of transport groups intending to modernize their fleet and consolidate into cooperatives. “We will implement the PUV Modernization. IT IS NON-NEGOTIABLE. And we will be giving our children and our grandchildren a better environment” he said during the board meeting. In response, Chairman Medel H. Alfalla of OTC committed to conduct bi-monthly meetings to expedite the approval of increasing applications for accreditation. “We recognize the important role of cooperatives in the success of the PUVMP. We will work on this, and we will waste no time,” OTC OIC chairman Medel Afalla said. Under the government’s PUV modernization program (PUVMP), transport groups are required to form corporations or cooperatives to qualify in the program. Secretary Tugade said that the latest batch of accreditations brings the total number of accredited transport cooperatives to 681 in the entire Philippines which includes the CORDILLERA BASIC SECTORS TRANSPORT COOPERATIVE (CBSTC) with OTC ACCREDITATION NUMBER 2019-033. It is also the first regional transportation cooperative approved and registered by the Cooperative Development Authority on October 1, 2018 with CDA REGISTRATION NUMBER 9520-1015000000043892.